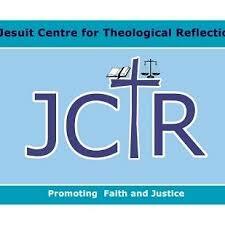 JESUIT Centre for Theological Reflections (JCTR) has urged the government to fully actualize economic diversification by investing more in crop production and fish farming. JCTR Social & Economic Development programme officer Chanda Chileshe said this would increase supply of agricultural produce including fish production. Chileshe said further investment in agriculture would help actualise their full individual and social potential with dignity. “The Centre proposes that this be done through creating an enabling environment in which private sector could thrive, also through building confidence in the stability of the economy and encouraging businesses to invest,” he said. And commenting on the income side, Chileshe said the Satellite Home Survey on incomes in Lusaka showed that majority households in high density areas earned between K500 and K2, 500. He said the data further showed that the majority of households in townships such as Kanyama and Kalingalinga were in self-employment which was not adequately rewarding financially. Chileshe expressed his concern that while the cost of living was sky-rocketing the income for ordinary Zambians remain the same. He said this has affected household affordability of basic items especially in high-density areas. “JCTR, therefore, calls upon the government to solve the current problem of high cost of living in Zambia. This can be done by reducing the gap between salaries and cost of living. As Catholic Social Teaching suggests; we need to work towards living wages that are adequate for both workers and their families. The government should ensure that decent and sustainable jobs are created for the many Zambians who are languishing in unemployment. December 2017 closed off at a figure of K4, 958 and January 2018 started at K5, 229,” he said. Chileshe stated that the higher cost of living was largely due to the annual price adjustment of particular BNB items, such as electricity, housing and water done at the beginning of each year. “The extension of the fish ban in the first quarter of the year raised the price of fish and Kapenta on the market. This was due to a prolonged reduction in the supply of the two commodities. The reduced supply of tomatoes caused by weather fluctuations in first quarter of the year also contributed to the increased cost of living in March to K5, 575, which was the highest recorded in 2018,” he said. Meanwhile, the December 2018 JCTR Basic Needs Basket (BNB) for a family of five living in Lusaka stood at K5, 424.18, which was K99.8 more than the November BNB which was pegged at K5, 324.40. Chileshe said the most significant changes were noted in Kapenta, which increased by K31 from K167 in November to K198 in December. “Breakfast mealie meal increased by K7 from K79 in November to K86 in December per 25kg bag,” he said.